One cool, complete camera drone! 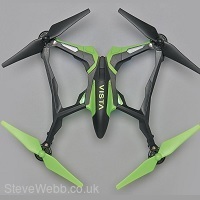 What can you do with the Vista FPV? The real question is, what can't you do? You can watch your flight unfold in real time through the lens of the Wi-Fi enabled DroneView digital HD mini camera. Once you've downloaded the DroneView Mobile App, you can use your mobile device to snap still photos or shoot 720p HD videos. You can store them on the included micro memory card, download them to your mobile device or share them with friends on social media. The camera easily attaches to the Vista FPV with an ISO anti-vibration camera mount, which provides you with the stability needed to shoot smooth, stable videos and photos. 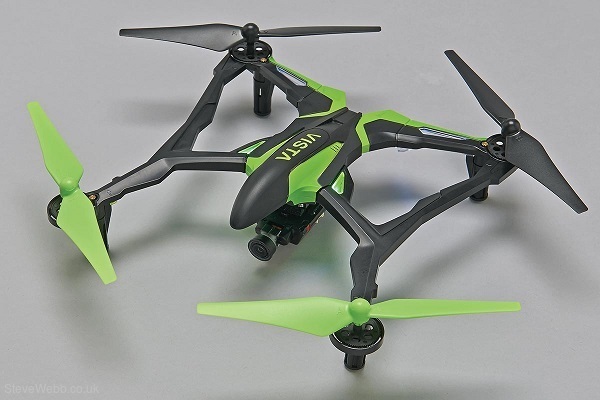 You can also customize your Vista FPV's response and performance with four flight modes and count on the Vista FPV to remain stable and level, so you can concentrate on flying and photo/video possibilities. Remove the camera and you can wow your friends by performing perfect, pro-quality flips with the push of a button. Whether the Vista FPV is your first drone or your fifth, one thing is certain: you can be sure it'll be your favourite! 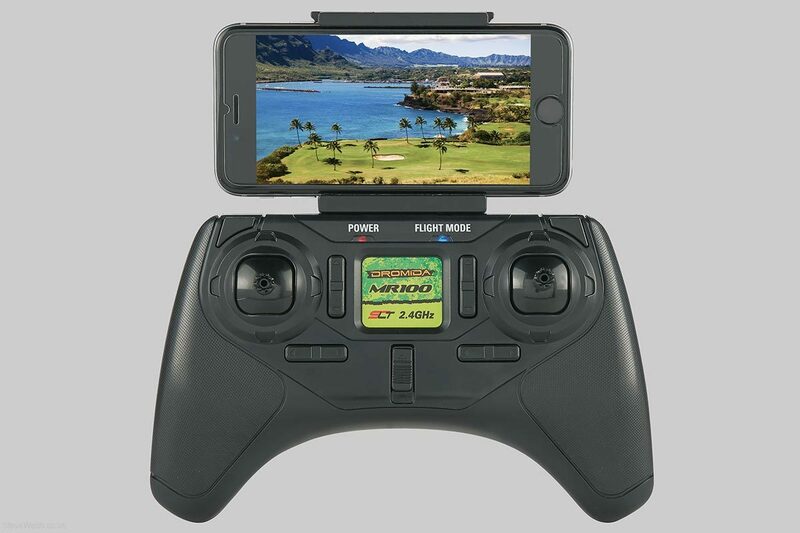 Attaches with an ISO anti-vibration camera mount for smooth video and crisp pictures—removes easily for high-energy aerobatics.